This brief letter is in reference to the professional services of David McCorkle, BIC of Lake Wylie Realty, Clover, South Carolina. I retained the services of Mr. McCorkle (David) in February 2014 to sell the home of my deceased father, Robert Glenn Smith, Jr., who resided at 11101 Windy Grove Road in Charlotte, North Carolina. I could not have secured a better realtor. As I live in Myrtle Beach, South Carolina, I required someone who could and would effectively represent me in Charlotte, communicate regularly with me, and adjust his schedule when necessary to meet with me during my monthly trips to the Charlotte area. David certainly performed the expected realtor duties—listing the house and showing it to prospective buyers, representing my needs and expectations to potential buyers, and taking the sale through the closing process. His phone calls and emails were frequent; I was fully aware of developments as they occurred despite being 200 miles away. David routinely altered his busy schedule to make himself available for personal meetings with me when I traveled to Charlotte, and travel plans were often made at the last moment. All of these actions were expected by me, as David came highly recommended. But he went beyond the expected duties of a realtor. On several occasions, David visited the property simply to determine what work, if any, was needed. When he discovered a problem (or potential issue), he secured reputable people to make minor repairs to my father’s home, always with attention to cost. There were a couple minor, cosmetic issues that he handled himself, without charge. Adding to his work was the necessity of David serving as a liaison between myself and the property’s co-owner—my father’s second wife, a woman with whom I refused any direct, personal interaction. Even more remarkable was David’s work following the actual, formal closing of the sale. He met me at the property when my family and I came to clear the house of its furnishings. David spent most of that day—using his own time—moving furniture, clearing the crawlspace and exterior buildings of stored household items, and removing trash and discarded items from the premises. I have never heard of nor imagined a realtor helping in such a manner, especially after the sale of property was final. It is extremely rare that I find myself genuinely impressed with anyone, especially in the business sector; however, David was that rare individual. He was knowledgeable, effective in his dealings with prospective buyers, and forthright in his dealings with me. He routinely communicated with me, offered sound advice, and adapted his schedule to mine, often rescheduling his own earlier-made commitments. 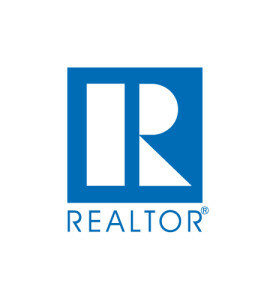 He demonstrated professionalism in his work and inspired me with confidence in his handling of the entire process of representing the property and my needs—doing all of this more as a friend than as an agent Again, I could not have secured a better realtor.